"you just may surprise yourself !" Salons and stylists across the country are taking their education to the next level. These hands on workshops are a must. It will make you more sensitive to the needs of your clients and give you the skills and confidence necessary to deliver the most up to date enhancement solutions. Romaines Hair Images presents hair braiding and advanced hair extension classes for professionals in an intimate structure, designed to stimulate growth in the industry. Mrs. Maureen brings to you years of experience within the cosmetology industry enabling her to train beginners and professionals on the most sought after innovative, advance techniques known today. Mrs. Maureen's primary objective is to provide advanced training to licensed professionals on all sides of the world. This is an outstanding opportunity for those who have a strong desire and vision to be leaders in the Cosmetology and Hair Addition Industry. Become skilled at braiding Individual Braids, Bacis Cornrows and creating Basic Hair Extension styles in a “RHI Braiding Fundamentals” course. We will teach you everything you need to know to braid hair! This popular corn rowed technique allows weaving hair to be put in without threads or glues. Extension hair is woven in with the client’s hair in corn rowed braid layers close to the scalp. The natural hair ends up fully braided and serves as a support for the loose hair. * Micro Braids - Can be an elegant and refined style featuring small, delicate braids. They are sometimes called invisible braids. They come in several different sizes and lengths, and are considered a lengthy process. Micro Braids styles are highly customizable. 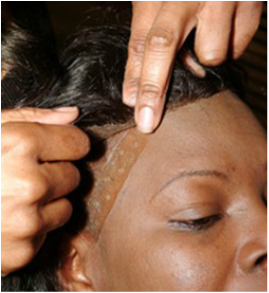 When properly cared for, Micro Braids can promote healthy hair. * Strand-by-Strand - This is the ultimate in undetectable hair extensions. This technique is seamless to the naked eye and smooth to the touch. No glue, no wax, no heat, no adhesives, no chemicals or other attachments is needed for this advanced technique that will last up to 12 months. This extension system involves a revolutionary interlock system that is easy to apply and easy to remove. This hair secured to hair technique offers versatility like no other extension you've ever seen! Undetectable Strands can be applied to any hair type, can be relaxed or permed, can style hair in a smooth ponytail or up do, and will last up to one year. Great for beginners or experienced extensionists who'd like to add more hair extension methods to their services. Not every method is suitable for every client. This technique is the latest in undetectable fusion application. This process involves tiny attachments applied with a protein polymer mixed with an adhesive designed to give the hair a healthy bond. This new strand -by- strand hair extension technique uses tiny micro rings for attachments. No wax, glue or heat is used and it is virtually non-damaging to the hair. This is one of the most innovative extension weaving techniques on the market. 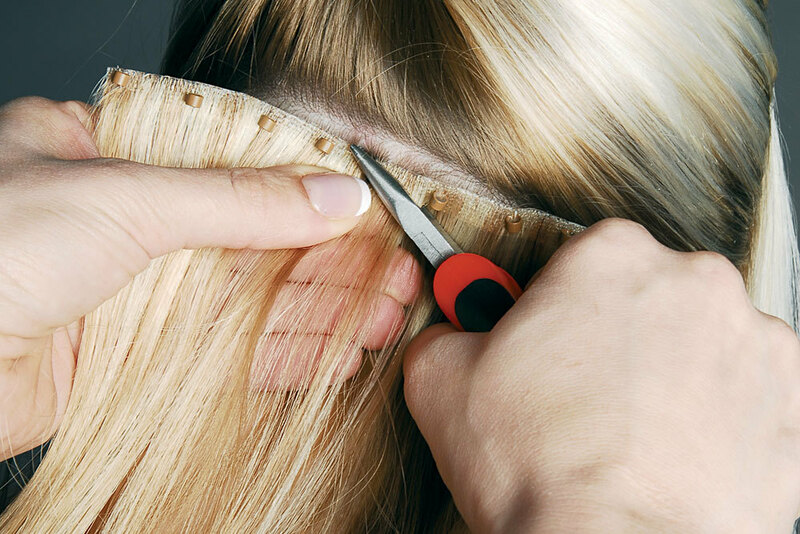 This extension technique is designed to give clients a flat, smooth, and natural looking extension that is integrated throughout their own hair. This method requires no glue, cornrows or braids and is non-damaging to the natural hair. This technique is designed to give the client a flat and seamless extension that is especially good for thinning hair and many other forms of hair loss. This hot new weaving technique is easy to apply for women who want extreme versatility and movement and have no time for long hours in the salon. Many men and women suffer in silence when comes to hair loss. Learn how to help them regain their confidence and get their beautiful youthful self back by providing these astonishing services! Do you have clients who suffer from hairloss Learn how to build client trust and confidence from the beginning to the end. There are so many variables to consider that ordering can be somewhat overwhelming. We will make it easy for you. The mold is the very foundation for the client’s hair system. You will learn the different types of hair: European, French refined, Yak, Remy, and more. Many clients are already knowledgeable about the different kinds of hair so it’s very important for you to become well informed too. Learn the latest techniques of cutting and blending hair for the most natural results possible. Coloring hair replacement systems require special techniques. You will learn how to work with both synthetic and human hair to accomplish complementary results for even the most discriminating clients. You will learn the latest styling techniques to ensure the best look. Blending the added hair with the client’s existing hair is the most important part of styling. Different methods work best with different clients. You will learn how to determine what is best for your client. Learn the different techniques to equip you to build your business and offer a solution to the huge number of clients suffering from thinning or loss of hair.